Ping kommer med nye utgaver av Anser-modellen. Verdens mest populære putter kommer i ny prakt. Karsten Solheim tok patent på Ping Anser i 1967. Patentet utløp i 1984. Siden den gang har mange andre "stjålet" idéen og lagd mer eller mindre kopier av den banebrytende putteren. Ping Anser-modellen er den putteren i verden som er kopiert mest. Det sier alt om hvor god den var - og fortsatt er. 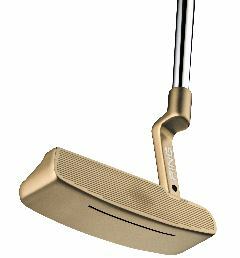 PHOENIX (Jan. 25, 2016) – PING today introduced two new Anser putters that advance the legendary Anser design handcrafted decades earlier by founder Karsten Solheim. The new TR 1966 Anser and Anser 2 arrive as PING is celebrating the iconic Anser model’s 50th birthday. In developing the new putters, PING engineers relied on 3D scans of the original Anser and Anser 2 to analyse the subtle contours and radius details that Karsten personally shaped into the designs using his mill and hand files. Each of the new models is engineered with that same attention to detail and performance that has made the Anser the putter model with the most victories in golf history. 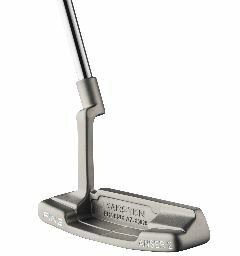 The new putters get their name from PING’s True-Roll (TR) face technology. The precision-milled face design provides unmatched ball-speed consistency, the key to holing more putts and reducing 3-putts.